Status as a fiduciary is the gold standard in wealth management and means the advisor is legally obligated to act in your best interests at all times. As a fiduciary, I will never try to sell you an expensive insurance policy or annuity to generate a commission. Most so called "financial advisors" are registered brokers or insurance agents and may not always put your interests first.  + Why Choose a CERTIFIED FINANCIAL PLANNER™ (CFP®)? Impact Fiduciary utilizes a passive strategy designed to maximize diversification, and keep costs low while avoiding ethically challenged companies. As an investor the most important decision you can make is your asset allocation. Over 90% of investment returns are driven by the asset classes you own. Asset classes include domestic stocks, international stocks, bonds and alternatives. It is critical to have an asset allocation that aligns with your specific goals and risk tolerance. I do not believe that it makes sense to try and time the market or chase short term trends. Studies show that the vast majority of active mutual funds and hedge funds underperform overtime. + How do you invest in the market? Impact Fiduciary will utilize a customized basket of stocks and Exchange Traded Funds (ETFs) so we can better control risk and diversification while focusing on Socially Responsible Invesments. This innovative investment approach is designed to keep up or outpace the indexes while minimizing risk and enhancing diversification. + Why don't you use mutual funds? Most active mutual funds and strategies underperform against their benchmarks. A rolling study by S&P Global has shown that over a 15 year period ending in December 2016 that 92.15% of large-cap, 95.4% of mid-cap, and 93.21% of small-cap managers trailed their respective benchmarks. If you pay an advisor a fee to put you into mutual funds the numbers are even worse. They are also extremely tax inefficient. + Why shouldn't I just buy the S&P 500 and call it a day? The S&P 500 is a market cap weighted index that only invests in the 500 largest companies domiciled in the US. Because of the way it is contructed you will own a disproportionate amount of the largest companies and sectors while ignoring smaller companies that may have more upside potential. The top 10 companies in the index, such as Walmart and Exxon Mobil, equals 20% of the total value while the bottom 100 companies only represent 4% of your portfolio. Furthermore there have been decades where the S&P 500 has flatlined or underperformed other areas of the market. Even worse you will be inadvertantly investing a large percentage of your portfolio in ethically challenged companies and industries such as fossil fuel companies and gun manufacturers. This money could otherwise be invested sustainably. + What are the differences between ethical, SRI, impact and sustainable investing? They are a lot of different names that essesntially mean the same thing. Impact Fiduciary does not invest in any companies related to Fossil Fuel, Big Tobacco, Factory Farms, Private Prisons, Weapon Manufacturing and pharma companies linked to the opiod crises. This is so that we can invest these dollars into companies that are neutral or have a positive social impact while trying to solve some of humanities biggest challenges. + Does SRI investing lower returns over time?  No. A growing body of research shows that SRI and sustainable investing actually improves performance over time. + Why shouldn't I just use a Robo Advisor? A robo advisor may make sense if you don't have a lot of complexity in your life and aren't worried about sustainable investing. Robo advisors do not offer one-on-one comprehensive financial planning. Impact Fiduciary will utilize a custom strategy designed specifically for you, your life vision and goals. We will work together to create a financial plan designed to help you protect and grow your wealth as efficiently as possible. This includes advice around insurance, estate planning, 401ks, education planning, budgeting and saving, debt reduction, company stock plans and stock options. + How are you compensated? I have a flexible model so that clients have the option to pay a monthly retainer for just financial planning or they can pay a fee of less than 1% for both direct portfolio management and financial planning. I also offer project based consulting and a single engagement financial planning option. + WHY DID YOU NAME YOUR FIRM IMPACT FIDUCiARY? I thought it was a catchy name! Impact investing is about focusing on companies that are socially responsible and have a positive impact on the world. The mission of my company is to have a positive impact on everyone that I serve and the world. As a fiduciary I offer you my loyalty and will always act in your best interest. I can work with anyone with an address in the US. + DO I need to stop by your office for an appointment? No. I live in Los Angeles but I'm happy to meet with you in person, over video conferencing or just have a conversation over the phone. + Who is folio institutional? Impact Fiduciary is proud to custody assets at Folio Insitutional. Folio Institutional is an independent company that provides secure asset custody and innovative investment management tools. + Are my assets safe at Folio Institutional? Folio Institutional is a member of SIPC, which protects the securities and cash in each client brokerage account up to $500,000 (including up to $250,000 protection for cash in an account). SIPC protection wards against losses stemming from the financial failure of member brokerage firms. A brochure explaining SIPC coverage is available on the SIPC website (www.sipc.org). In addition they have supplemental coverage from Lloyds of London of up to $10 million per client. Neither the SIPC nor the supplemental insurance protects against losses from the decline in the market value of securities. Schedule a quick complimentary discovery meeting by clicking the button below! I look forward to meeting you!